Useful supplies for cleaning tea pots. tea tools, and kitchen equipment. 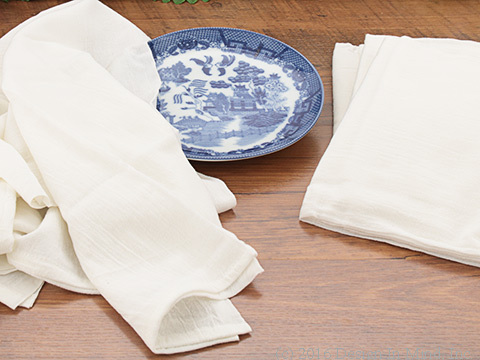 Traditional white flour sack towels are the best for drying glassware and dishes as well as other kitchen uses. These deluxe towels come as a set of four 100% cotton towels, approx. 32 x 38". 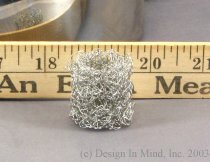 Metal mesh ball is placed within the tea kettle to collect lime and mineral deposits and prevent build up in the kettle. Can be easily cleaned when necessary. 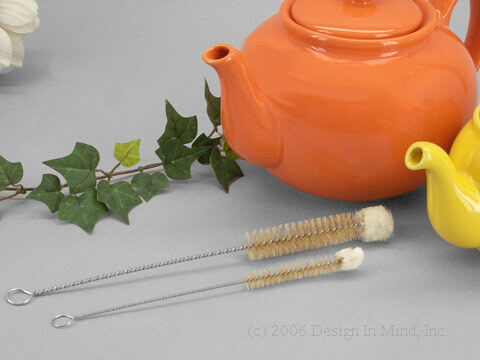 A combination natural bristle brush and lamb's wool swab that is just the right size for cleaning teapot spouts! Great for cleaning any narrow space.